Gallstones, sometimes referred to as "gallbladder attacks", are more than a painful nuisance. Untreated, gallstones can cause jaundice or pancreatitis, and can even require surgery with complete removal of the gallbladder. Don't wait for what might otherwise be inevitable. 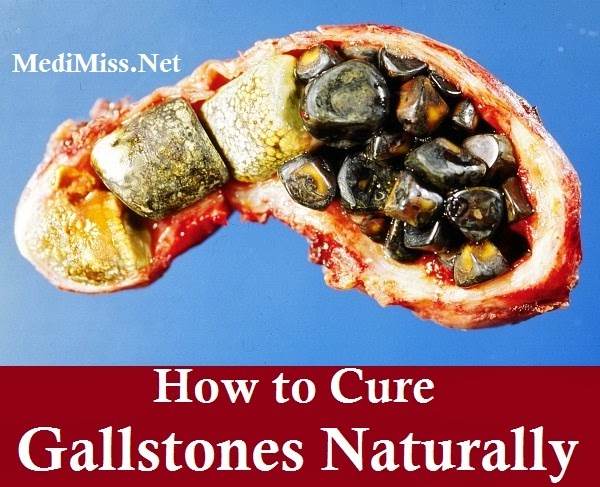 Cure gallstones with natural and simple adjustments. The gallbladder stores bile produced by the liver. It releases bile, which is needed to break down fats, chemicals, and toxins, so that they can be flushed out of the body. If the liver becomes overworked with extra fats and poisons, the bile can crystallize and form gallstones. Gallstones can be asymptomatic until they reach a certain size. Then the condition is characterized by severe abdominal pain (described as similar to kidney stones), nausea, vomiting, fever, abdominal bloating and indigestion. Attacks are most common after large, fatty meals, especially in the evening before bed. Gallstones are sometimes treated with an orally-administered acid, but recurrence is common when treatment is stopped. Surgery is a more common option. Complete removal of the gallbladder, or "open" surgery, requires a week's hospital stay and an additional month of recuperation. Nearly 40% of patients experience persistent pain and gastrointestinal distress, and 20% develop chronic diarrhea. Risks of serious complications include vascular injury and bowel perforation. The second surgical option is laparoscopic, or non-invasive. This requires a week of bed rest and another month of light activity. Many patients report residual pain and a decreased energy level up to a few months following the procedure. It seems a bleak prognosis, doesn't it? It doesn't have to be. 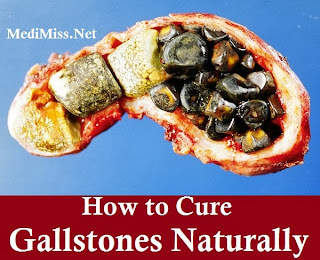 Cure and prevention of gallstones is quite simple. If you're having a gallbladder attack now, drink a full glass of water, followed with magnesium. This may help regulate bile flow. Similarly, drink a "gallbladder flush" - apple juice mixed with raw garlic and raw ginger root. o Change your diet to high-fiber/low-fat, with lots of raw, fresh vegetables, fresh fruit, whole grains. Eliminate saturated fats, starches, and fried foods. o Increase your intake of Vitamin C, folate, calcium, and magnesium, all of which are indicated in liver and gallbladder health. o Eat frequent light meals throughout the day. o Avoid eating before bedtime. What kind of herbal supplement should I take? Therapeutic Action: You want a powerful, stimulating formula that is cleansing, healing, and strengthening to the both the liver and gallbladder. The organic herbs in the formula should work synergistically to help heal and detoxify these vital organs. The formula should work by stimulating the liver to produce more bile through the gallbladder and bile ducts. The increased bile flow allows the liver and gallbladder to flush out thousands of toxins, chemicals, antibiotics, pollutants, drugs, and cholesterol safely from the body. The formula should also dramatically reduces inflammation, pain, and even removes gallstones safely from the body. This is referred pain, and this chart shows you the areas where gallbladder referred pain shoulder can be felt on the body.